Strategic supply chain management focuses on the long term and the big picture. Tactical management focuses, instead, on processes and procedures that can save time and money while also meeting customer demands and providing value. Tactical decisions can also help minimize risks. Tactical supply chain decisions are made within the constraints of the overarching strategic supply chain decisions made by company management. Tactical planners take the strategic message and focus on creating real benefits for the company. These can include tactical decisions in manufacturing, logistics, suppliers and product development. Strategic decisions may be made by company executives about the number and location of manufacturing sites to be operated. However, it is at a tactical level that decisions are made on how to produce products at the lowest cost at the highest appropriate quality. Tactical decision-making requires knowledge of methods such as kanban (just-in-time) inventory management. In some industries, innovative supply chain management can be a great way to save time, money, and employee effort. It's important to note that tactical decisions may be made at a local or regional level rather than at a corporate level. Decisions may be based on available resources, costs, taxes, and other factors. Thus, tactical decisions will vary from location to location. Should logistics be managed in-house or by a third party? 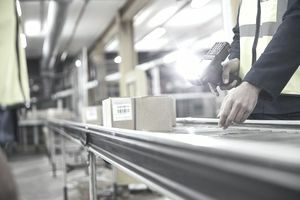 Even when a corporate decision is made to use in-house logistics resources, local conditions may require a different decision at the tactical level. For example, in a region or country where transportation costs are high, outsourcing can provide cost benefits. Similarly, in countries where land costs are high, construction of warehousing facilities may be cost-prohibitive. In that case, a smart tactical decision is to use public warehousing. Many companies recognize the cost benefits of using global suppliers. The company as a whole, therefore, may adopt strategic supply chain policies to take advantage of international suppliers who can provide quality products at a competitive price. At a tactical level, local and regional management must work within strategic guidelines to identify and negotiate terms that are most beneficial to the company as a whole. The process of negotiation varies from region to region; thus, the tactical negotiator must be able to balance corporate expectations with local challenges and customs. Companies make strategic decisions about the product lines they are committed to producing. Tactical decisions have to be made as to the particular products that should be developed at a given time and place. If, for example, a company makes a strategic decision to introduce a new line of MP3 players in Europe, the company must also make tactical decisions as well. Regional and local opportunities and challenges will dictate the specifications of the players, what countries they will be sold in, and the market segment to which they will be targeted for the greatest profit. The tactical supply chain decisions that a company makes are not made in isolation but within the framework of the strategic supply chain decisions made at a global level. Global decisions, in turn, are based on the overarching objectives of the company.